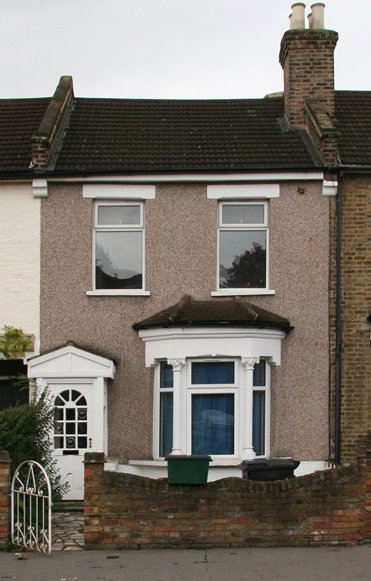 The Langman family moved from 12 Mead Place to 87 Clifton Road South Norwood in 1895. By June 1896 they had moved six doors away to 75 Clifton Road. 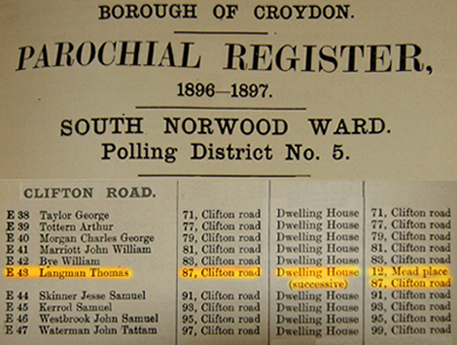 Christiana and Thomas Langman's next child, Louisa Jane was born in South Norwood in 1896. 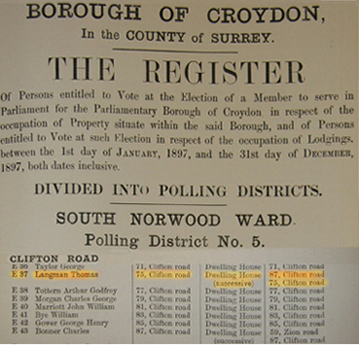 Above is the birth certificate which shows the family living at 75 Clifton Road South Norwood. Thomas's occupation is still a Licensed Victualler but we have been unable to locate which pub he worked at. When Louisa Jane was Twenty years old she married James How in 1916. (see certificate below). Note her father Thomas Langman is now shown as a labourer. They lived in the Lewisham area at 14 Ladywell Park and only appeared to have had one child, Christina Jane How who was born in 1919. This only child married in 1938 Nowell Albert Procter and they had two children, Carole A Procter (born 1940 Deptford) and Ian M Procter (born 1942 Bromley). Louisa Jane lived to the grand old age of 92 and died in the Greenwich area in 1988. Nowell Albert Procter died aged 85 in Ashford Kent in 2001.